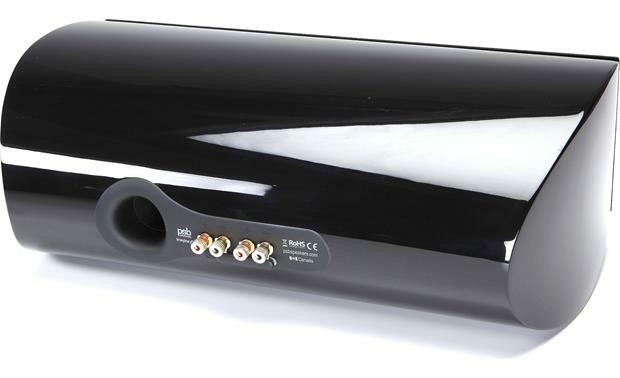 When you're putting together a high-impact home theater system, the last thing you want is for your center channel speaker to fall down on the job. 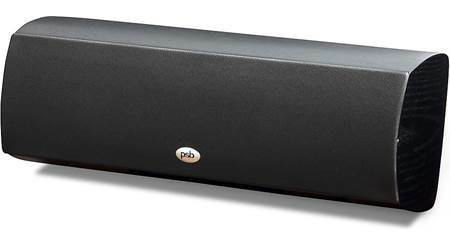 PSB's powerful Imagine C3 delivers clear, detailed center channel sound with all your favorite movies, TV shows, and video games. And it's a perfect tonal match for PSB's Imagine T3 floor-standing speakers. Your eyes will appreciate this speaker's clean, sophisticated looks, and your ears will appreciate all the refinements PSB has packed into its design. The Imagine C3 features a three-way design with the same drivers as PSB's flagship T3 floor-standing speaker, but in a dual-woofer, horizontal configuration. PSB uses a hand-selected version of their signature 1" titanium dome tweeter to ensure smooth, accurate highs free from distortion and grain. The midrange and woofer cones are made of polymer-coated felted fiberglass, mated to high-temperature fiberglass voice coil formers. Rubber surrounds and highly rigid, non-resonant die-cast aluminum baskets provide precise alignment of all the driver elements for superb accuracy and long-term reliability. 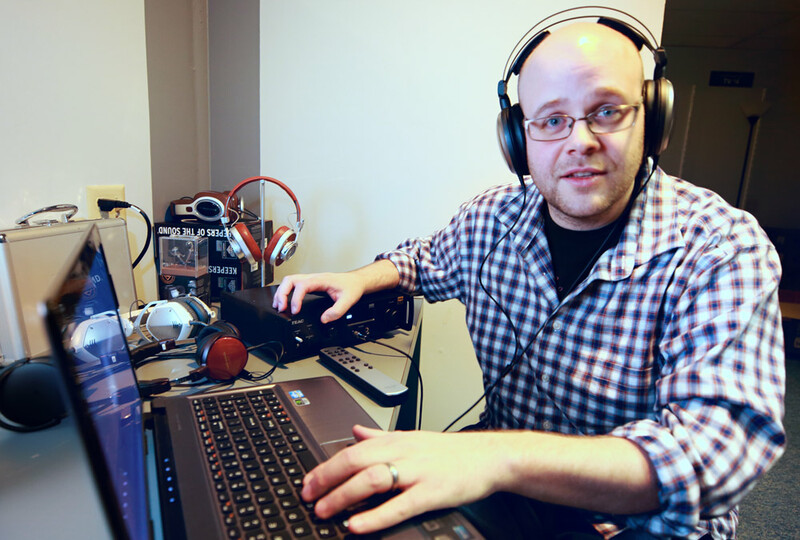 You'll hear exceptionally clean mids with excellent detail and tonal accuracy, plus impressive bass response. 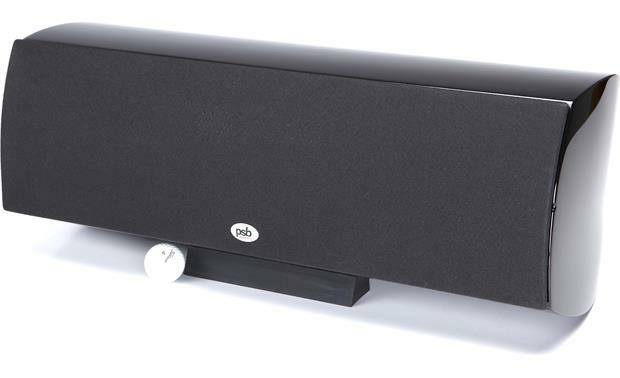 The C3's heavy, rigid cabinet helps eliminate vibrations to maintain the speaker's natural sound. The front baffle is a massive 2" thick MDF panel that locks the drivers firmly in place. Sculpted trim rings around each driver provide a low-diffraction wave guide for the driver cone, to enhance its off-axis performance while hiding the mounting hardware and damping unwanted vibrations. The top, bottom, and side panels are constructed using seven layers of laminated MDF to improve the cabinet's stiffness and absorb sonic energy that might otherwise color the sound. And the gorgeous hand-finished cabinet comes clad in your choice of piano high-gloss black or book-matched cherry veneers set off with a high-gloss varnish. 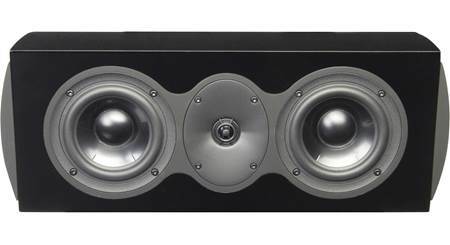 3-Way Transitional Speaker Design: The Imagine C3 is a true 3-way transitional driver design; unusually sophisticated for a center channel speaker. The C3 includes two 7" compressed felt/fiberglass woofers, both active at lower frequencies and with different low pass filter frequencies to maintain proper power response, as well as titanium dome tweeter. The specially developed 3.25" midrange driver is unique to the Imagine C3 and is responsible for the excellent speech articulation of this speaker. 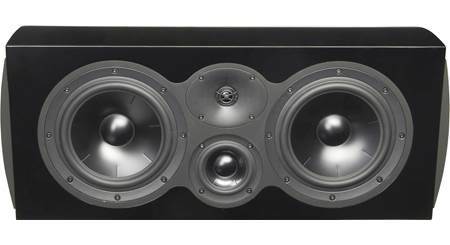 High Resolution Tweeter: The Imagine C3 is using a hand-selected version of PSB's famous titanium dome tweeter. This 1" dome features a neodymium magnet, high temperature voice coil and ferrofluid cooling, allowing it to keep pace with the high power handling of the rest of the speaker. Several years spent perfecting the production process has resulted in a tweeter with extremely smooth response and amazingly low distortion compared with other well-known tweeter designs. 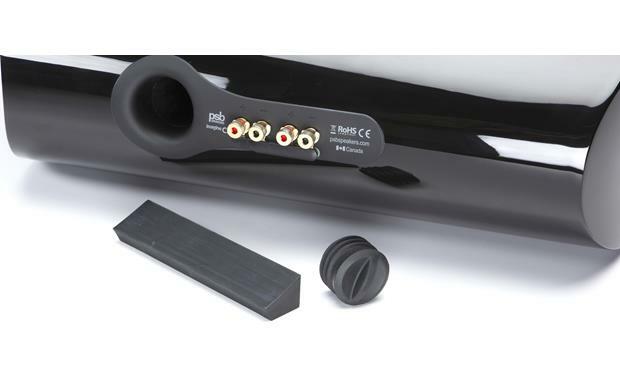 The integrated 'phase plug' is ingeniously designed to extend high frequency response while also creating an 'air spring' that effectively dampens the metal dome's 'oil can' resonance. Although this resonance is beyond the audible range, if not well suppressed it can affect the audible range. Excellent power handling allows PSB to ideally place the crossover point at 1,800Hz, which enhances the dispersion and integration with the midrange driver. 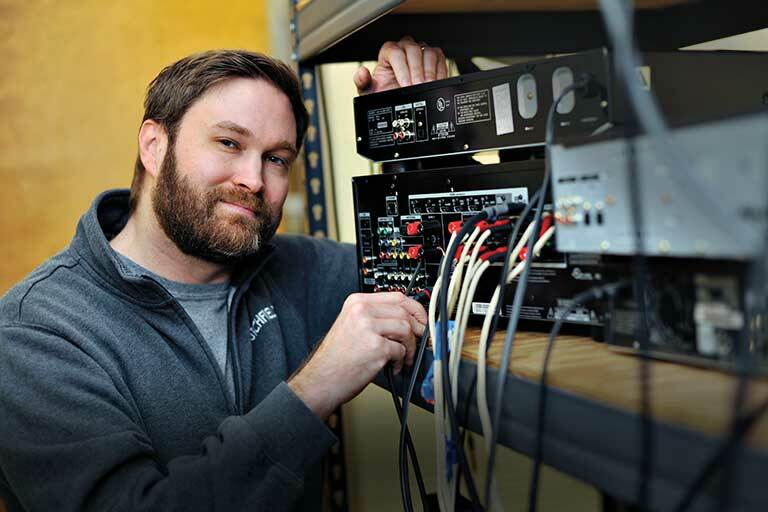 Advanced Driver Technology: Proven engineering combined with advanced technology in PSB's all-new drivers reduce distortion and respond more faithfully to musical transient, which is accomplished in two ways. Firstly, a copper cap is precision fitted over the pole piece of the motor structure to dramatically reduce 3rd harmonic distortion. Secondly, a symmetrical drive design is used to create a more uniform magnetic field in the motor (driver) coil which makes the cone motion more linear by reducing 2nd harmonic distortion, especially at high volume levels where the cone motion is greatest. The woofers and midrange utilize polymer coated felted fiberglass cones mated to a high temperature fiberglass voice coil. 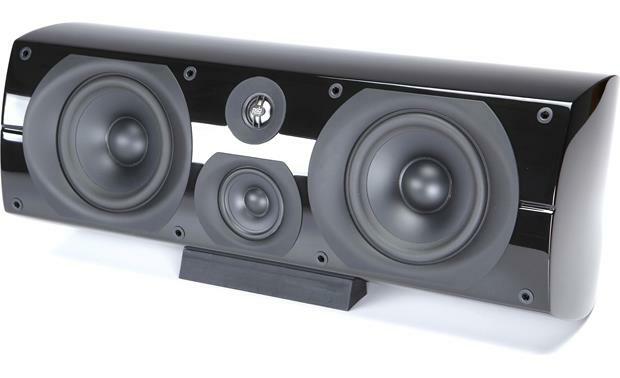 Rubber surrounds and a highly rigid non-resonant die cast aluminum alloy chassis provide precision alignment of all speaker components for high performance and excellent reliability. Combined with amplitude-perfect acoustic Linkwitz-Riley 4th order crossovers, these advanced drivers provide the lowest distortion and highest power handling of any PSB center channel speaker. Industrial Designed Enclosure: The sleek and distinctive Imagine enclosure was designed by the renowned industrial designer, David Farrage of DF-ID, and carefully engineered by PSB. The Imagine C3 employs seven layers of MDF (a dense, non-resonant wood material) and a unique process that employs space-age materials to create a beautifully curved, yet acoustically inert structure. The front baffle is a massive 2" thick MDF panel that provides a solid foundation for the drivers. The carefully sculpted trim rings around each driver provide a perfect low diffraction transition to the driver cone enhancing off-axis performance while hiding the fixing hardware and dampening unwanted vibrations. The hand-finished cabinet is available in piano high gloss black and in book-matched cherry veneers with a high gloss varnish. 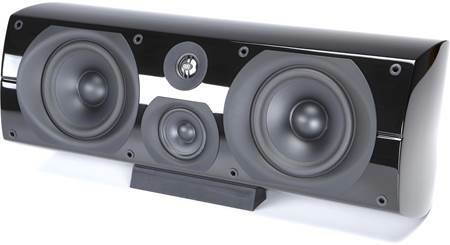 Bass Port w/ Plug: The Imagine C3 center channel loudspeaker employs a bass reflex enclosure with a rear-firing port for greater efficiency and bigger bass response. A tuning plug is included to adjust bass output for different placement options; the tuning port helps to tighten and less bass response. Dual Binding Posts: The dual binding post input terminals are located on the rear of the speaker cabinet. The two sets of binding posts are shorted together by a gold-plated jumper. 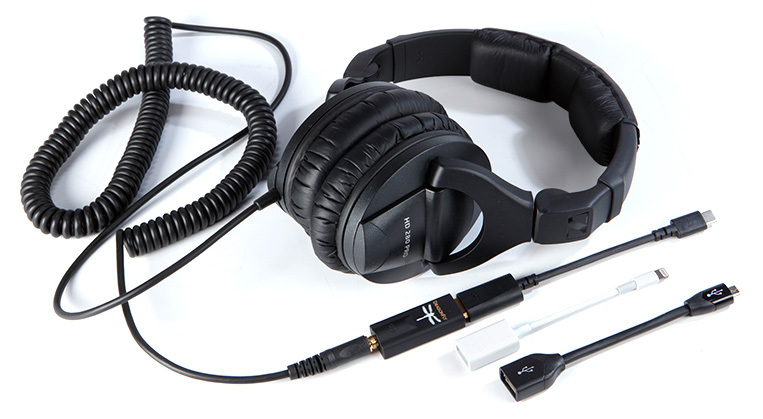 With the jumper removed the Imagine C3 can be bi-wired or bi-amplified. The binding posts will accept spade connectors, single or dual banana plugs, pin connectors, and bare wire up to 8 gauge. Searches related to the PSB Imagine C3 Center channel speaker.